Borussia Dortmund celebrate their historic Bundesliga win over Bayern Munich at the Westfalenstadion. Borussia Dortmund came from behind to record a superb 3-2 victory over Bayern Munich in a scintillating end-to-end Bundesliga encounter. 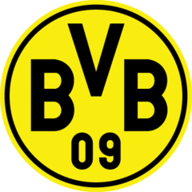 Despite taking the lead twice through the head of Robert Lewandowski (26, 52), Lucien Favre's young Dortmund side replied through Marco Reus' second-half double. But in a frenetic encounter, Paco Alcacer came off the bench to record a memorable win over a Bayern side who also had a late Lewandowski goal ruled out for offside. The result means Dortmund are now four points clear of Borussia Monchengladbach in second and seven points clear of reigning champions Bayern Munich in third. Bayern, bruised by a stuttering start to their league campaign, started the encounter in the ascendancy and took a deserved half-time lead when Lewandowski nodded home a fine Serge Gnabry cross. The second period saw a much-improved Dortmund showing, with Reus restoring parity from the penalty spot after Manuel Neuer had fouled the forward as he raced clear on goal. But the home side's joy was short-lived as Lewandowski's head once again did the damage to make it 2-1 to the Bavarians. Dortmund's Paco Alcacer slots past Bayern's Manuel Neuer during the Bundesliga clash at the Westfalenstadion. Dortmund were undeterred though and, after seeing an effort cleared off the line, Reus was once again on hand to equalise with a smart low, first time strike. Both sides continued to push for a winner with Dortmund taking the lead for the first time as Alcacer coolly dinked the ball over Bayern keeper Neuer. 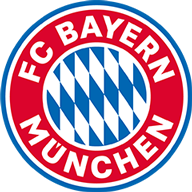 The final ten minutes saw Bayern continue to surge forward in search of an equaliser which they thought they had in stoppage time - only for Lewandowski's audacious back-heeled effort to be ruled out for offside. It was a shaky start for the England youngster with the occasion seeming to get the better of him in the opening 45 minutes as Dortmund struggled overall with Bayern's blistering offensive start. However, the second period saw the 18-year-old back to his sensational best - at the heart of everything Dortmund had to offer in the final third. He continued to terrorize the experienced Bayern backline and as well as robbing Franck Ribery for Alcacer's winner, could have got on the scoresheet himself.